An official for one North Carolina town addressed the Supreme Court Thursday after the nine-justice panel decided against hearing an appeal to a lower court ruling that banned prayer during official county meetings. “We are profoundly disappointed that the Supreme Court side-stepped this chance to clarify its position on legislator-led prayer,” Rowan Commission Chairman Greg Edds said in a statement provided to WBTV-TV. 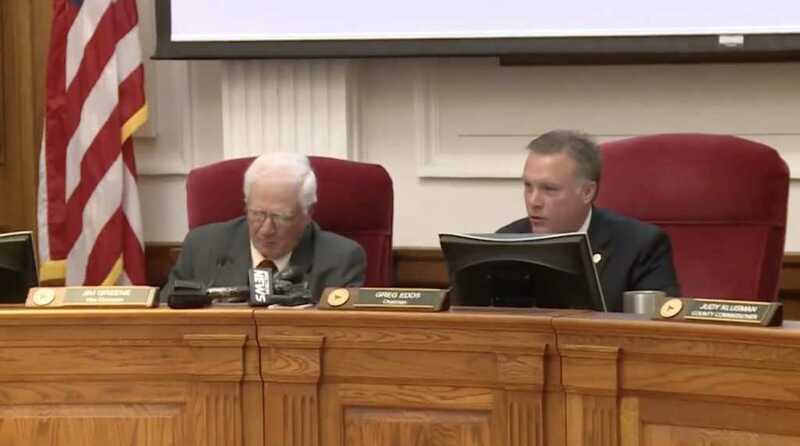 Representing three Rowan County residents, the ACLU filed a lawsuit in 2013 against the county commissioners, taking issue with their “unconstitutional prayers” during official meetings, which often consisted of a prayer or moment of silence facilitated by local superintendents on a rotating basis. “We are profoundly disappointed that the Supreme Court side-stepped this chance to clarify its position on legislator-led prayer. Legislative-led prayer is perfectly legal and happens in committees, boards, commissions, councils, and state legislatures all across America—just not in Rowan County and not in the five states covered by the Fourth Circuit’s flawed ruling. Our case was the perfect chance for the country’s highest court to clean up the confusion surrounding the opposing opinions recently handed down by the Fourth and Sixth Circuit Court of Appeals, but the nation still waits. Meanwhile, until the Supreme Court agrees to settle those differences the five states within the Fourth Circuit are forced to operate with a different set of rules than the other 45 states. Prayer, though, will continue in Rowan County, according to Barbara Weller, an attorney with the National Center for Life and Liberty, the organization that represented the government officials.